854 people read this post. WHERE DO MEN NEED TO MAN UP? Revisiting Authority. Men must own the task of trimming their own feathers and dieting their own egos. Allah entrusted you with this leadership, to invoke it for the betterment of the family, not for selfish interests. Even if your heart may be in the right place, people rebel without breathing room and under excessive constraints. Remember that the same man ( ﷺ) who deemed you head of the family showed us that this is a duty to serve and protect. Would he ( ﷺ) not milk for himself, and stitch for himself, whenever he could? Would he ( ﷺ) not outdo everyone in forgiving infringement on his rights, and outdo everyone in restraining anger? Would he ( ﷺ) not simply say “Then I’m fasting,” [Ṣaḥīḥ Muslim] when food was not available in the house? Leaders complain least and get served last. Leaders lead by example. What made people accept Umar ’s strict leadership? Simply put, they were compelled by his genuineness, for they saw him tougher on himself than he was on them. Certainly, a wife may be wrong for defying you, and is defying Allah in the process, but are you so certain you did not encourage this, perhaps by missing prayers, uttering profanity, watching obscenity, or acting violently? When this is the case, then you come along and selectively cite an ayah or hadith, do not be very hopeful. You may have denied your own request, and failed your family in the process. Leaders lead by example. 2. Valuing Affection. Allah made receiving His mercy contingent upon having mercy on people at large, and youngsters in particular, for obvious reasons. Withholding expressions of love and affection from the kids, or leaving this to the mother alone, is devastating and merciless. When al-Aqra‘ b. Ḥābis (rA) witnessed the Prophet ( ﷺ) kissing his grandson, he boasted of never kissing any of this ten sons, to which the Prophet ( ﷺ) said, “What can I possibly offer you if Allah has pulled the mercy from your heart?” [Ṣaḥīḥ al-Bukhāri] It is sad to see that in the United States alone, 20 million kids have no physical father present, but also millions more with a father who is physically present but emotionally absent. In Muslim communities, all too often do I encounter fathers who are not only callous with their children, but even mock the mothers for being tender with them. At times, fathers employ roughness with their sons to avoid them becoming “softies”. Ironically, this very behavior is actually conducive to becoming a “softy” for belligerence breeds a lack of self-respect (succumbs to force). And at times, it purges from the child all traces of empathy, numbing him/her into a rebellious menace, and thus 70% of adolescents in juvenile correctional facilities come from fatherless homes. Albert Bandura, professor of psychology at Stanford University, observed as early as 1959 that delinquents suffer from an absence of the father’s affection. A person may wonder why spending on one’s own family is a highly rewarded act of devotion in Islam. This is only fully understood by those who lived firsthand the fatigue of worrying about the family’s finances as they lay to sleep and once they open their eyes, whether healthy or sick, whether thanked or spited. For the stability of the home, Allah is telling the providers that I know your work behind closed doors may not be appreciated, but I appreciate you. Second, many men simply exploit their wives, emotionally guilting them for staying home all day and “not helping the family with anything”. Such men have unwittingly bought into the “only worth is financial contribution” hype, in addition to the “all women sit at home idle all day watching soap operas” stereotype. This is particularly sad, especially coming from a Muslim, and even more so after his wife has undertaken the jihad of motherhood. “Working mother” is a redundant statement; a full time job and then some. 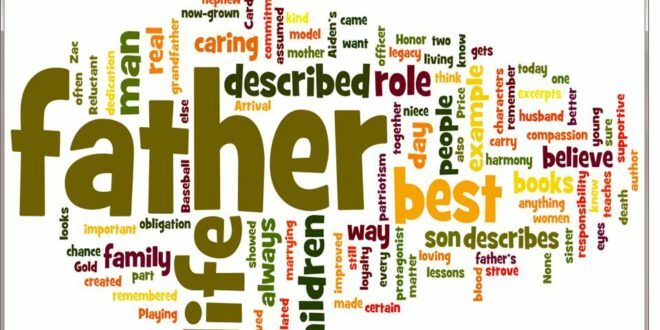 Also, the mother is the child’s first teacher, who educates through her mundane yet profound daily interactions with the child, and through the earliest conversations with that child when they are discovering under mom’s wings what it really means to be human. Expecting mothers to earn wages outside for many hours, as the norm, is unfair to them and to the children, just as expecting fathers to be stay-at-home dads, as the norm, is unfair to them and to the children. And from a biological angle, we cannot ask mothers to work because we are not asking fathers to bear children. Again, this is not arguing that a mother should never contribute outside the home, but rather that men should never expect her to, just as she should not choose to at the expense of her children. Nothing can save our children from the storms they face and will face after us, not even two fully-functional parents. Only Allah can do this, and our appeal to Him starts with appreciating and embracing without resistance the definitive guidance He privileged us with. The biggest threat to your children is not poverty, nor homelessness, nor drugs, nor prison, nor suicide. These tragedies are all dwarfed by the fact that 23% of US Muslims no longer identify with their childhood religion . It was for that very reason that Nūḥ AS pleaded with son before the waves separated them by calling out, “O my dear son! Ride with us, and be not among the disbelievers.” [11:42] Notice that he did not say, “and do not be among those who drown”, because even the loss of life can be compensated for, while meeting Allah a disbeliever is the ultimate doom. This is what is at stake, and yet we are still trying to experiment and run away from our duties, selfishly pursuing our self-defined individuality at the expense of our family and community. Each of us needs a moment of pause; to swallow our pride a bit, and renew our confidence in Allah a bit. Allah will never disappoint us. We must look up to the heavens for guidance, not around to those equally in darkness.